MacArtney said it has supplied a Low Voltage Electrical Optical Swivel (LVEOS) to Norwegian turret and loading systems provider for intended inclusion into a swivel stack for a floating production, storage and offloading vessel (FPSO). This model is designed to be located at the top of a swivel stack to allow functionality of a multichannel fiber optic rotary joint. 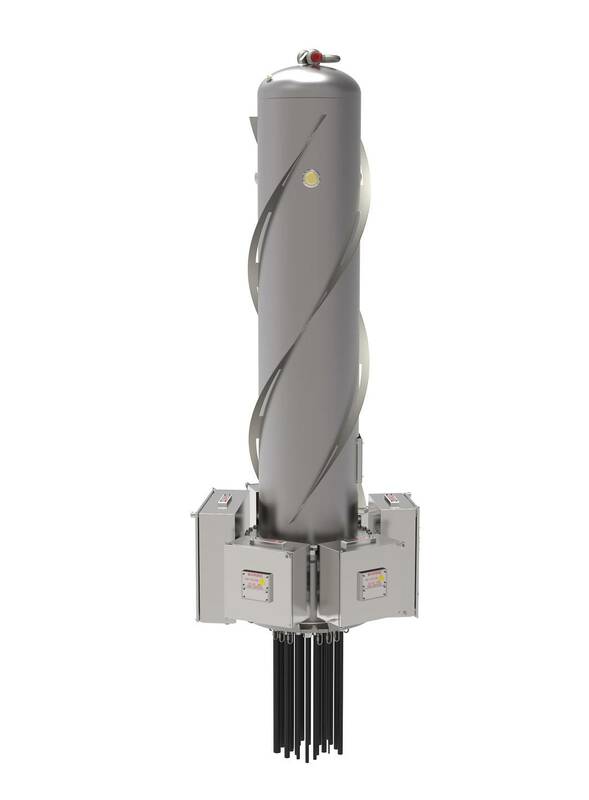 The swivel is certified as a flameproof enclosure with increased safety junction boxes on the ship’s side. It is approximately 2.8 m high with a diameter of approximately 0.7 m and weighs approximately 1 ton.